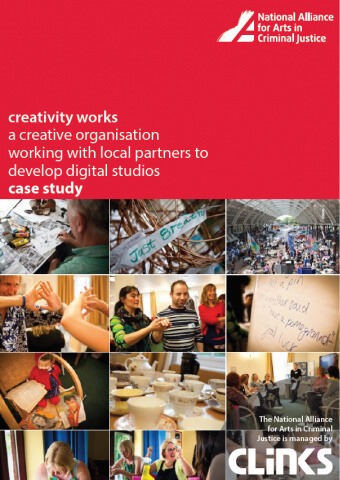 As part of sharing good practice, we have produced a number of case studies in collaboration with projects and organisations across the country. 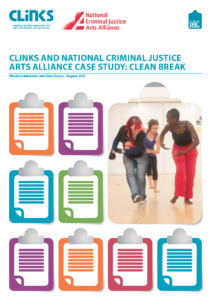 We focus on interesting collaborations happening between arts organisations and criminal justice organisations, exploring how they work together and the impact this has on participants and the process of rehabilitation. We also produce case studies to help organisations think practically about specific issues affecting the sector, such as diversity. 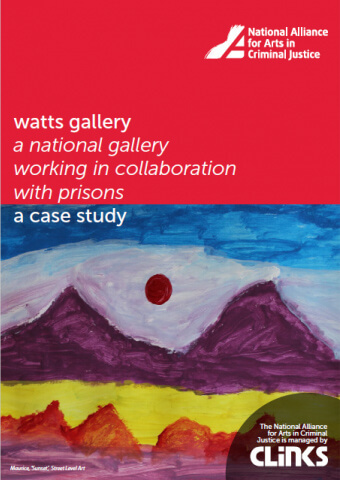 This case study looks at the Watts Gallery’s ‘Big Issues’ project, which sees the gallery work with local community groups from in and around Surrey offering practical art, craft and design workshops led by professional artists and designers. The sessions help participants to develop confidence and learn transferable skills through creating art. Participants work towards creating finished pieces inspired by the Watts collection. Their art is then displayed in an annual exhibition in which participants are given the opportunity to sell their work. This case study looks at Creativity Works’ ‘Networks’ project, which consisted of establishing a creative network of activities, support and resources for women as they progress through and beyond the Criminal Justice System by developing confidence, learning new skills, empowering them to manage their own mental health and providing a resource for other women in similar circumstances and contributing to the improvement of services provided by the Criminal Justice System in Bristol. 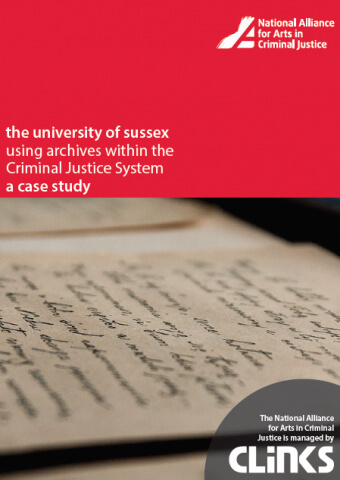 The third case study in our series looks at the collaborative project between the University of Sussex and the Mass Observation Archives: Writing Lives. The project was inspired by a previous collaboration between Mass Observation Project Officer, Kirsty Pattrick, and Creative Arts Facilitator, Evlynn Sharp, to hold creative workshops for inmates in HMP Lewes designed around the Mass Observation Archive’s annual 12 May Diary Day.